Seeking grants that advance women’s empowerment? San Francisco boasts not just one but three organizations that invest in women and girls worldwide: The Asia Foundation, the Global Fund for Women and the Women’s Funding Network. Global health, microfinance and sustainable development are three other dominant themes of programs supported by San Francisco-based aid groups. Aside from grant-making charities, the development community in the city includes nonprofits, consulting firms, research institutes, membership organizations and financial services providers catering to social entrepreneurs. These organizations are within a few miles of each other. Some even share streets, such as the Asia Foundation and Camfed USA on California Street, Tetra Tech DPK, Child Family Health International and the Sustainable Sciences Institute on Market Street, and RTI San Francisco and the Women’s Funding Network on Sansome Street. The city’s many top universities, meanwhile, offer courses for those who wish to expand their knowledge of international development. Apart from Stanford University and University of California at Berkeley, there’s the University of San Francisco’s College of Arts and Sciences, which has a graduate program on international and development economics, and the San Francisco State University, which offers a master’s degree program in public health and a minor in world development studies. Here are some of the main development groups that are headquartered or have opened representative offices in San Francisco. Check out the Devex jobs board for opportunities in these organizations. The Asia Foundation restricts its grants to Asia-based organizations. It has 18 offices across Asia serving 22 countries and territories in the region, and one in Washington, D.C. In 2010, it provided more than $98 million in grants for programs in its four target areas: governance, law, and civil society; women’s participation; economic reform and development; and international relations. Business of a Better World, or BSR, helps strengthen the corporate social responsibility programs of its members, including Fortune 500 companies such as Exxon Mobil Corp., Microsoft Corp. and Wal-Mart Stores Inc. Aside from its San Francisco headquarters, BSR has offices in New York, Washington, Paris, Beijing, Guangzhou and Hong Kong. Equal Access creates local language audio and multimedia programs using a range of technologies – satellite broadcasting, TV, radio, text messaging, or a combination – to catalyze behavior change and in turn address critical developing country challenges such as women and girl’s empowerment, youth life skills and education, human rights, civic participation and governance, and health. In Nepal, one of the nine countries where Equal Access works, more than 6 million youth listen to its award-winning “Chatting with My Best Friend” program, according to the group’s website. FSD aims to build the capacity of small non-governmental organizations worldwide to respond to local health, social, environmental and economic issues through its grants, training and fee-based volunteer programs. It has more than 300 NGO partners in Argentina, Bolivia, India, Kenya, Nicaragua and Uganda. It offers 10 fellowships per year, with selected individuals assuming international program coordinator positions for a minimum of six months. GFWprovides grants ranging from $500 to $30,000 per year to women’s rights groups in sub-Saharan Africa, the Middle East and North Africa, Europe and the Commonwealth of Independent States, Asia, Oceania and the Americas. It receives around 2,500 proposals annually, of which it funds more than 600. It has so far awarded more than $80 million to more than 4,200 groups in 171 countries. Since its inception, Kiva has facilitated around $215 million in loans – with a total repayment rate of nearly 99 percent – from nearly 585,000 individual lenders through its online platform and global network of microfinance institutions, which it calls its field partners. It says that 100 percent of loans – individuals can lend as little as $25 – directly go to its field partners, which administer the funds to entrepreneurs in developing countries. Kiva’s operations are funded by optional donations from lenders and grants from various corporate and foundation supporters. Kiva offers fellowships on an unpaid, volunteer basis. Nexant provides technical and management consulting services and technology solutions to the global energy sector. It has worked with the U.S. Agency for International Development on several projects, including the $600 million West African gas pipeline, which is touted as the agency’s single largest energy infrastructure scheme. RTI San Francisco is a regional office of RTI International. Opened in 2005, its research projects focus on technology, energy and the environment, urban health, and women’s health. 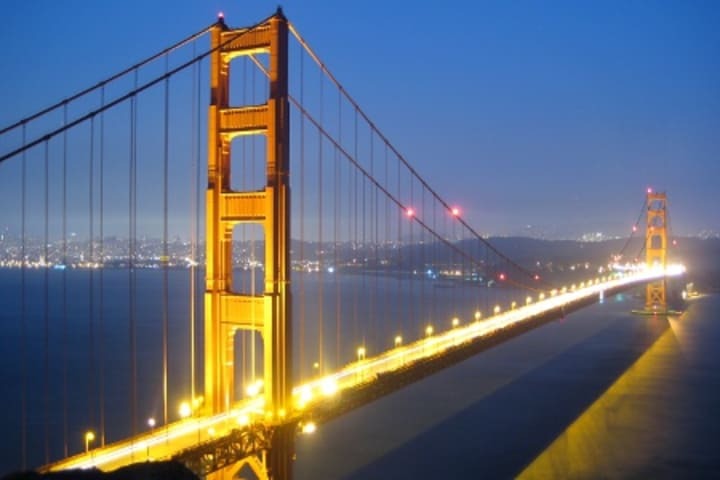 RTI San Francisco works with clients from governments, academia, nonprofit organizations and foundations. Type: Consultancy Founded: 1993 Co-founder and director: Robert W. Page Jr.
Tetra Tech DPK renders technical assistance by developing and implementing projects in the areas of rule of law and governance, among other issues. It has won and served as subcontractor for several USAID indefinite quantity contracts – multimillion-dollar contracts that often lead to joint venture and subcontracting opportunities for consulting firms and suppliers. The Women’s Funding Network brings together more than 160 public charities and private foundations investing in women and girls worldwide. Collectively, the network’s members make annual investments of $65 million and have more than $535 million in working assets, according to the group’s website. The Women’s Funding Network provides its members with access to a global network of peers and experts in the field, training on leadership and fundraising, tools to evaluate social change impact, and opportunities to advance personal and professional growth for their executives. Did we forget any major aid organization based in San Francisco? Please let us know by placing your comments below.